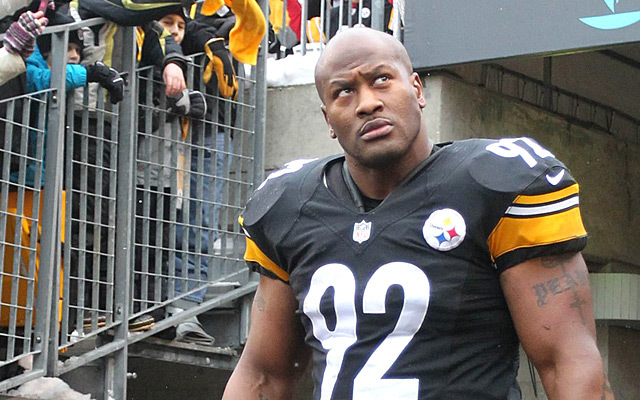 Deebo is back…and back for good? 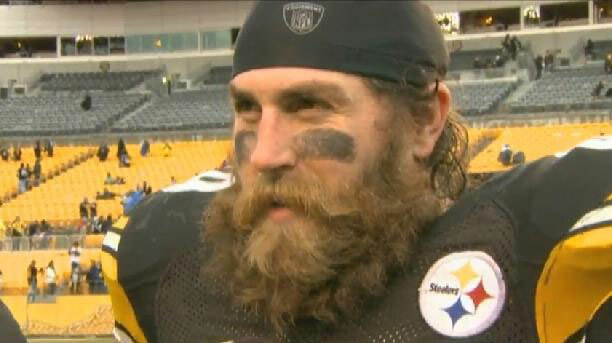 While I was busy watching my March Madness bracket explode in a fiery ball of flame at Hooters this weekend, the Pittsburgh Steelers were busy re-building their aging and ineffective linebacking corps. How did they do this? 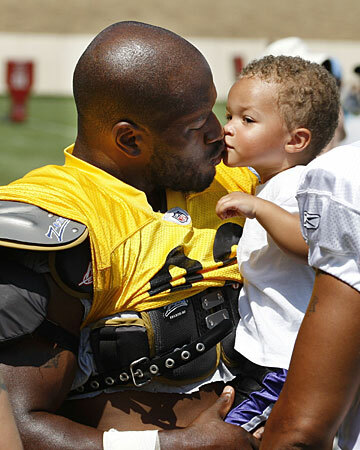 Why, by signing 36 year old James Harrison of course! Rest easy, Steeler Nation, this won’t be any one and done either as they inked their 2008 Defensive Player of the Year for two whole years! Forgive my sarcasm but after drafting two straight first round linebackers then Franchise tagging a third, I find it somewhat comical the Black and Gold have ended up right back where they started. I don’t blame them for signing Deebo. He was clearly the team’s most effective pass rusher at outside linebacker last year. First round pick Jarvis Jones has been an utter bust thus far to the point GM Kevin Colbert basically said both OLB spots are in open competition come training camp. With Jason Worilds retired (still can’t believe I’m typing that) our current depth chart reads Jones, Arthur Moats, and a bunch of nobodies. At worst Harrison provides insurance and with his deal being worth a shade under $3 million, it’s not like the team is in trouble cap-wise if he hits a wall this year. Still, for a defense that had a terrible time pressuring the quarterback last season, it’s not very encouraging that their rebuilding efforts have consisted of bring back Deebo and pray Jones magically morphs into a capable NFL player. The draft is coming up but since they haven’t done anything to address the secondary – if anything, it’s gotten weaker – it’s not like they don’t have other holes to fill. Big Ben and the offense better gear up to score 30+ point every game next season otherwise it could be another long year for the Steelers. Two important things were learned from the Pittsburgh Steelers 30-17 loss to the Baltimore Ravens in the Wild Card round of the NFL Playoffs. 1 – The Steelers high-powered offense is a collection of burned out light bulbs without running back Le’Veon Bell. 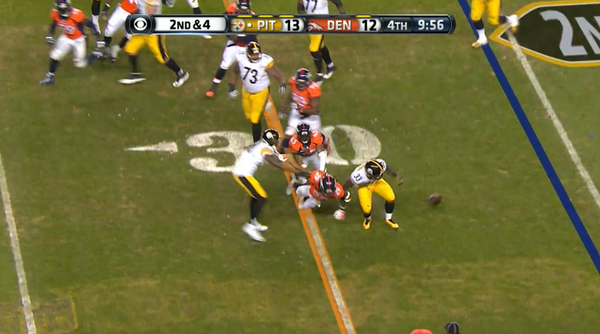 2 – Whatever concussion protocols the Steelers have in place, they might want to look into changing them. 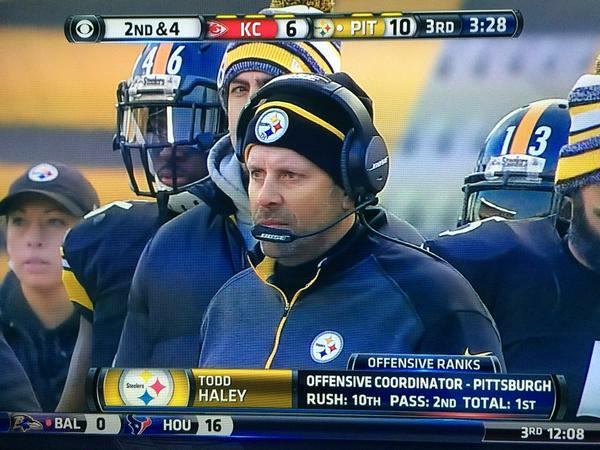 The Pittsburgh Steelers are hot right now. Their offense is on absolute fire but the oft-criticized defense has also come around in recent weeks. They’re not shutting people out like in days gone by although I’m not sure in today’s NFL such a thing is even possible. With all the current rules where basically scowling at a receiver results in a flag, I’m not sure it’s even possible to have a shut down unit anymore. Good teams still play good D, it’s just a different kind of defense. They don’t give up the big plays, make the other guys work for the scores they do get, and above all generate splash plays by sacking the QB and forcing turnovers. Those are all areas the Steelers struggled mightily in for going on a two season now. They’re also areas the team has steadily improved in over the past few weeks. Perhaps not coincidentally, that improvement has coincided with the resurgence of one player in particular. In the aftermath of Sunday’s epic curb-stomping of the Colts, I was looking over my feed for any stories concerning the Pittsburgh Steelers. One immediately jumped out at me. It was titled, “Steelers LBs Smash Weight Room After Big Victory” and I won’t lie, my first thought was “Uh oh, they demolished the training facility celebrating after the game?” Those kind of things leap to mind when you follow a team with a habit of launching into obnoxiously long choreographed dance routines after every halfway decent play. 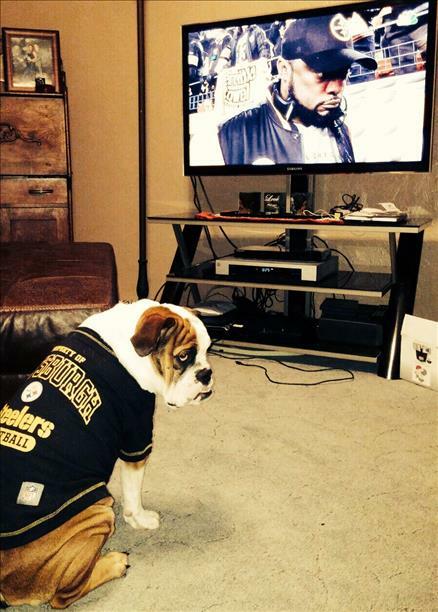 No, the Steelers didn’t party by causing mass destruction to team facilities. The story was about James Harrison and Jason Worilds, who evidently came in bright and early Monday morning to get in a light workout by deadlifting 450 pound barbells. I’ve kind of scoffed at the idea of “veteran leadership” – to me, being able to play is much more important than being vocal in the locker room – but I’m coming around that one of the Steelers problems in recent years was the loss of so many established leaders. So anybody else hear that Derek Jeter is retiring? Of course we’ve had nauseating tributes to Jeter crammed down our throats all season long. While I couldn’t care less about the Yankees or the glorification of their overrated players, Jeter’s story is notable in one regard. He’s walking away of his own free will. When it comes to professional sports, more often than not athletes have to be dragged away from the game kicking and screaming. 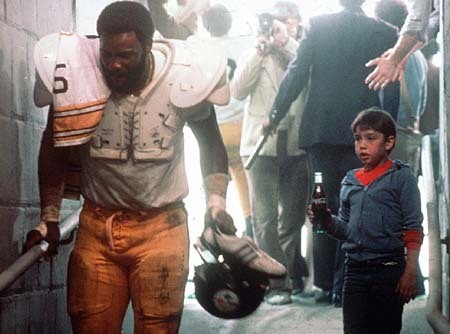 I’ve been alive for all six of the Pittsburgh Steelers Super Bowl victories but I’m too young to remember the majority of the Steel Dynasty years. What I do remember quite vividly is a KDKA interview with Terry Bradshaw, who told this story of waking up feeling like a million bucks and then asking a ranch hand to run twenty yards down to the fence and button hook back towards him as he threw a football. The part I particularly remember most vividly is Terry saying how as soon as he let the ball fly his balky elbow told him it was time to retire. A few guys leave voluntarily like Jeter but many – most – are forced to go.